-Friends, I hope by now you can identify the touts (fake Khalistanis). It is the election fever and masks of many are slipping from their ugly faces. They would shamelessly say, "Don't vote BJP because its Advani asked Indira Gandhi to invade Golden Temple." Obviously they mean Congress who committed the crime is not bad but the party which abetted is more harmful. Friends you might have felt there are thousands of touts on internet who are indirectly canvassing for this criminal party the Congress. This exactly is the working style of Congress. It basically believes that the masses are innocent and they can be befooled to any extent. Fraud is in their blood. 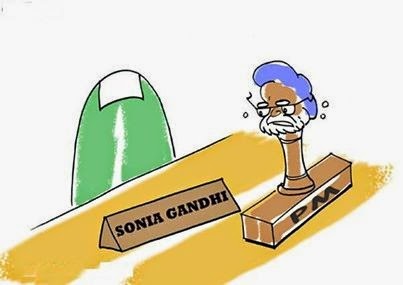 Look, for show they have a prime minister in Dr. Manmohan Singh a scholar type person who can't even win the village panchayat elections while the real power is in the hand of Sonia Gandhi and Rahul. They have appointed him because he is very faithful to them while the liability of misrule goes on the shoulders of Manmohan. This party is India's misfortune. For the sake of returning to power they can go to any extent even killing of thousands of people. Look in the commonwealth games they embezzled Rs. 70,000 crores (yes). I therefore suggest you to vote any body but Congress. Choose any lesser evil. At least the Sikhs can't forget massacre of innocent people in Delhi to get a landslide victory in the following elections. This is the party which has been rewarding the killers with ministries. Friends I give you good news that this anti-human party is loosing in most of the states and it is hoped it will be wiped from the map of India.